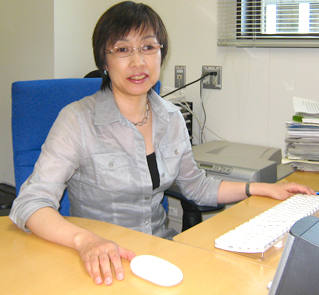 Since 1992 Dr. Asako Sugimoto has used C. elegans as a model organism in her genetic research and has been dedicated to achieving notable discoveries in the development processes by making the fullest use of live cell imaging and high throughput RNA interference (RNAi) technologies. I am trying to make very clear where and how each of nearly 20,000 proteins encoded by the C. elegans genome fulfills its role, and how the proteins coordinate development processes from fertilized egg to the adult stage. To do this, it is indispensable to observe the behavior of each protein molecule inside a cell and analyze its spatiotemporal dynamism. In this, live imaging is a most important tool. 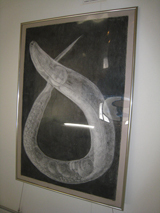 My first work with C. elegans dates back to when I was a postdoctoral fellow in Joel Rothman’s laboratory at the University of Wisconsin in Madison. Ever since its genome sequence and cell lineage were completely described, C. elegans has been the most suitable model organism for my research. I was able to develop a simple but high-throughput method for inducing RNA interference by just soaking C. elegans in a double stranded RNA solution. By fully utilizing high-throughput RNAi, we have been able to carry out a comprehensive analysis of the entire genome to classify the genes that are necessary for the embryogenesis of C. elegans, and have gone on to conduct highly efficient phenotype profiling. I am currently focusing on an analysis of the dynamic control of cellular architecture during the early stages of cell division, and am also analyzing the mechanism of asymmetric cell division. For further information on this research, please see the article “Exploring the Basic Principles of Biological Phenomena through Nematodes” in the August 2008 issue of RIKEN NEWS. What role does the CSU play in your research? Both the spatial resolution and temporal resolution are important factors when observing cellular level dynamics during the development processes; however, when analyzing very rapid changes in the cytoskeleton such as microtubules and actin, it is most critical to have high temporal resolution. Regardless of which experimental model organism is utilized, imaging systems with the requisite spatial and temporal resolution are a “must” for researchers of cytoskeleton dynamics. In that sense, I think the CSU system is the most highly recognized tool worldwide. 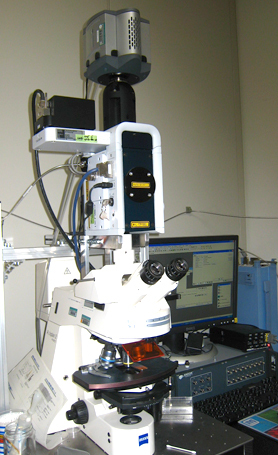 In my laboratory, we use two CSU systems: one has a cooled CCD camera for optimum spatial resolution and the other has an EMCCD for the best temporal resolution. Both systems are heavily used.The embryo of C. elegans is transparent and relatively small, with dimensions of about 50 um x 30 um. This makes it possible to capture 3D live images and 4D images of the entire C. elegans embryo, a task for which the CSU system is well suited. On the other hand, while I understand versatile performance scalability is one of the merits of the CSU system, new users could have difficulty choosing the most desirable setup. It is necessary to give them more information so they can select the best CSU system configuration. For example, they need to know which filters are most efficient, which cameras are best, and what additional systems are needed to perform fluorescence recovery after photobleaching (FRAP). I would like Yokogawa to provide some way for CSU users to exchange information. This could be something like an FAQ web page. Do you have any tips that would make it easier to obtain live images of C. elegans embryogenesis? We use various fluorescent proteins to live image many types of proteins, but there is no universal protocol for this. We always examine which experimental conditions are optimal for each protein and experiment. For new phenomena that cannot be observed by conventional means, it is critical to push your system to the limit of its capabilities. The first thing in critical live imaging is to clarify what you need to know and decide which is more important, spatial or temporal resolution. You need then to repeatedly carry out thorough examinations to determine which conditions are optimal, proceeding methodically. What do you plan to research in the future? In addition to being a leader in genetics research, we hope that Dr. Sugimoto can be a role model for young female researchers in Japan. 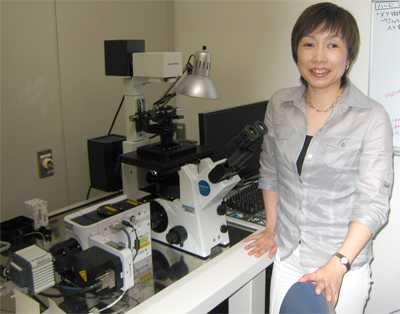 At present, relatively few women are in leadership positions in this field, as can be seen by the fact that, at the RIKEN Center for Developmental Biology, just four of the thirty three laboratory heads are female. Dr. Sugimoto has long been a user of the CSU . We still remember the excitement we felt when first seeing a live CSU image of her C. elegans that had been beautifully illuminated by GFP., when not many researchers had been such successful in GFP technology, yet. Thanks to her kind advice, we plan to prepare an FAQ page to answer some typical questions about how best to use the CSU.